A recent encounter at a conference reminded me of the importance of understanding your target audience, and finding the right way to communicate with them. That includes men, women, and all the possible races and sexualities that your customers may represent. While my experience as a woman is only one example, there’s a plethora of information to be garnered to ensure we take the right approach when it comes to customer relationships. Note: As a woman, I do not look for any special treatment. In fact, I still very much enjoy when a man opens a door for me. Most women are like me – they simply seek the same level of respect as their male counterparts. At the conference, I co-presented with a male business owner. He was as pro as they come, and we supported each other well. A few male audience members, though, portrayed the mindset of this being a “man’s world”. When asking questions that were clearly for me, they’d look at my partner. He’d in turn politely point to me and say, “That one’s for Pamela”. Yet, eye contact was still directed at the male on the stage, even when I was the one giving a detailed answer. It reminded me of the time my husband (who is totally blind, I might add) went with me to look at new cars. I had the cash and the questions. The salesman would look at me when I asked, yet direct all the answers to Joe. After the session, a few of these men thanked my cohort for the information, yet made no eye contact with me. They continued to ask him questions that had nothing to do with his experience or presentation, and had everything to do with mine. If you are a man and are of this mindset and think you are fooling your female customers, you’re wrong. It is a very difficult thing to hide. If you think most hard-working women are easily manipulated into spending dollars “just because”, you’re wrong. If you think simply using the right trigger words is going to close tons of sales, you’re wrong. Women shoppers and business women are pretty savvy. They might not be able to pinpoint just what turned them off, but carrying around the attitude that it’s a “man’s world” will turn them off, and it will cost you money. After I got home, I spent some time digging into data, including my own. And that’s when things stopped making sense. After all, more than 70% of my social followers are male. 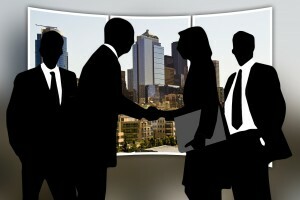 Ninety percent of my clients are men, and the bulk of the people I work with on a regular basis are also male. I’ve had to cease working with a handful of clients and colleagues over the years because of the varied approach to working with me (as a woman), but other than that, I thought it had been pretty smooth sailing. 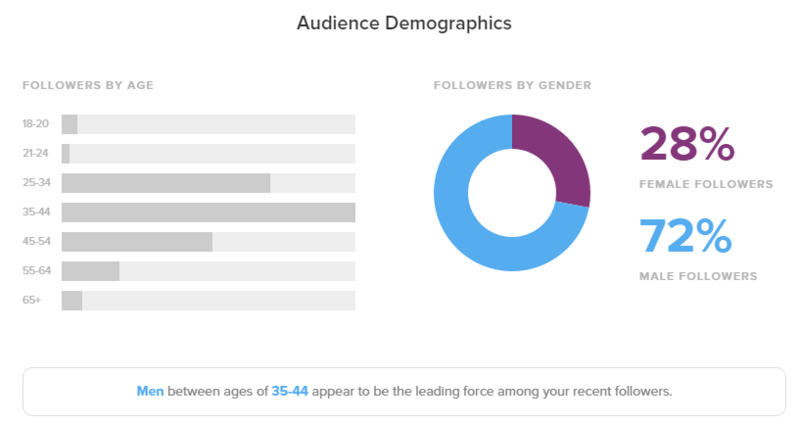 According to Sprout Social, more than 70% of my social followers are male. As a customer, though, it’s not always been a great experience. Whether online, or in local retail stores, it’s a crap shoot over whether or not a male manager will listen to what I have to say and realize I’m not whining, I simply want what I’m paying for. There are times when I enlist my husband to address certain issues because I want it to be clear that there is a real problem that needs to be addressed. In 2007, a study at Wharton resulted in a podcast called, “Men Buy, Women Shop” explains the differences between the sexes when it comes to entering stores. There are plenty of things you can do to balance things out, and the most successful business men out there have done just that – they’ve trained, learned about female psychology, even undergone therapy – to ensure they’re not rubbing people the wrong way. The most successful are attentive, no matter which gender has the microphone. So, the next time you get on the phone with a female client, colleague or customer, don’t just think about what you’re saying, but how you say it. Don’t be that car salesman – he lost the sale within minutes, even though the vehicle was exactly what I wanted at the price I wanted to pay.